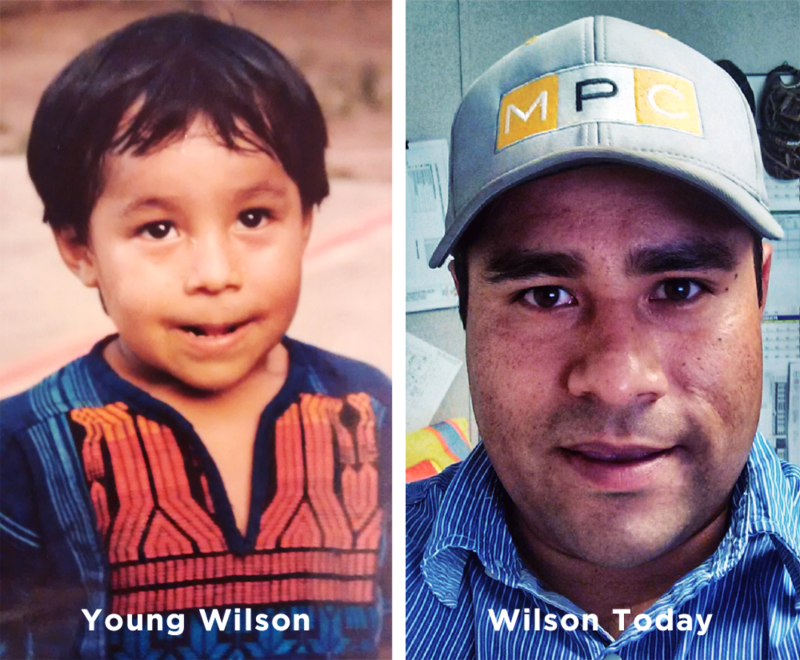 Twenty-three years have passed since Wilson Villarreal stayed at Casa Marianella. His memories of that time are unique, rx and include losing someone’s ring down the bathroom toilet, stomach and—on an unrelated occasion—tripping and falling onto an exposed nail (a mishap that left a lifelong scar on his brow). He was five years old. 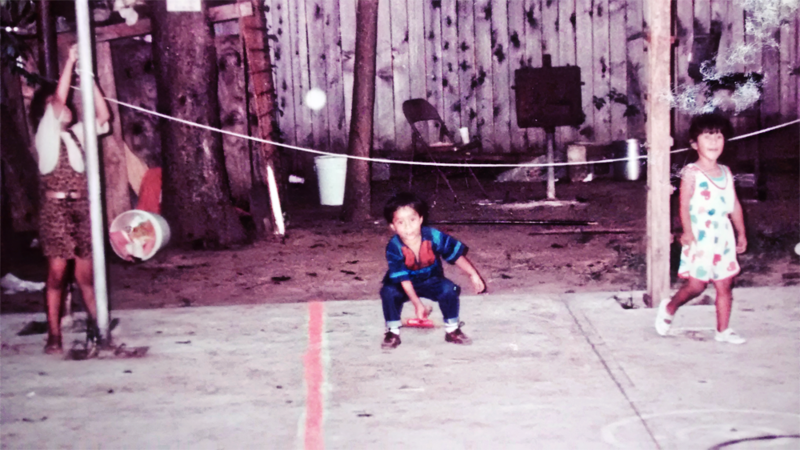 His Casa story begins, then, in the early 90’s, when he fled his native Guatemala with his mother and father. The journey’s circumstances forced them to leave Ervin, the middle child, behind, in the hopes that they could one day send for him. Meanwhile, David, the youngest sibling, was more fortunate: still being in his mother’s womb made him easy to carry. As Wilson recalls it, after making it to Austin, he and his family were wandering along César Chávez when Terry English, former Director of Casa Marianella, came across them by chance and offered them a place to stay. Terry herself explains that it was a bit more complicated than that, but, regardless, the family did end up staying at Casa. After about 6 months, Terry was able to help them find a house in the Dove Springs area of Austin. There, they were soon able to bring Ervin up from Guatemala, and his mom also gave birth to David. Things seemed to be going alright for Wilson and his family. The only dark spot was that Wilson’s father was still drinking. When drunk, he would get into fights with Wilson’s mother, and these arguments, ultimately, would end in tragedy. About a year after arriving in Austin, Wilson’s father ended his mother’s life. Wilson remembers hearing the fight and then falling into a type of unconsciousness. The next thing he remembers is the sirens. Casa Marianella held a service for Wilson’s mother. His father was sent to prison, and all three brothers were entered into foster care, the youngest being separated from the older two. They bounced around a few foster homes, and Wilson remembers a particularly bad stretch of time, when he, at six years old, had to care for both his little brother and the child of his foster mother. He recalls learning to fix macaroni and cheese. It’s hard to say what would have become of Wilson and his brothers had it not been for the continued support of Terry/Casa, and the interest of a certain couple: Pastor Aníbal Ramirez and his wife, Pati. This couple, after visiting the older boys for a number of years, made the decision to adopt them. It would take time, but eventually they would manage to adopt Wilson’s youngest brother as well. While the three brothers would still have a long road ahead of them, with anger and grief left to process, this adoption into a strong and secure family would prove the turning point in their lives. Wilson himself has had his own winding path, but today he is a superintendent of a construction company, and is in good health and spirits. His brothers are prospering as well. As Wilson sees it, every twist and turn of his life, no matter how tragic, has represented the hand of God, blessing him and guiding him to where he is today. We bring you this story now because, in August of last year, Wilson decided to return to Casa Marianella to volunteer for us. We at Casa couldn’t be happier to continue being a part of his journey. And even more so, we are grateful for his presence at Casa—as a living reminder of why we do the work that we do.